How do I use the Analysis software with Bike (motorbike) data? This stops the software combining the accelerations with the GPS data as it makes no sense to do so on a bike, as a bike has no measured lateral acceleration. 2. 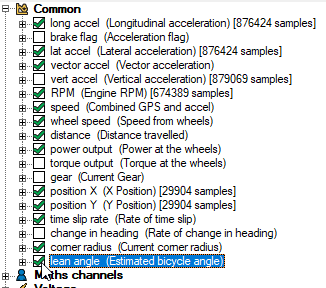 In the variable manager, you should enable the lean angle variable under the "Common" category as this is useful in bike data analysis.